All NOVA VISTA UNIT B homes currently listed for sale in Mesa as of 04/18/2019 are shown below. You can change the search criteria at any time by pressing the 'Change Search' button below. "This home is a must see for those wanting nothing less than the best! Beautiful 1850 sq ft, 4 bedroom 3 bath luxury home available. 2.5 car garage. 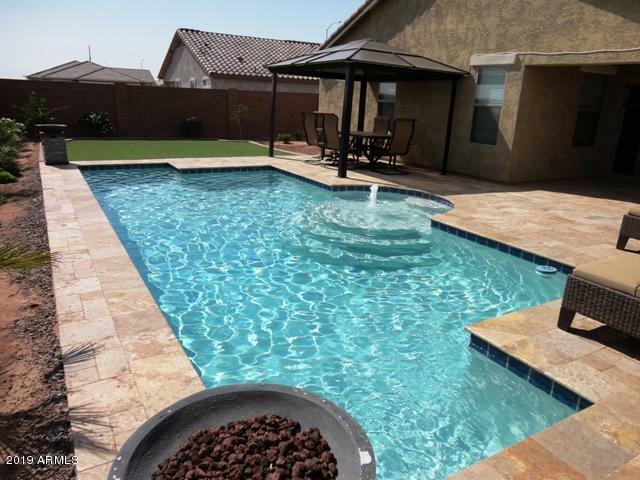 Backyard is perfect for entertaining...features a gorgeous pool with beautiful travertine pool deck, built in BBQ, covered patio, and artificial turf that needs no mowing. Desirable lot near cul-de-sac! This home features many upgrades including granite counter tops, vaulted ceilings, seamless all natural wood blinds, ceiling fans, and tile in all t"